Fort Missoula Regional Park Phase II Grand Opening — The Land Group, Inc. The Fort Missoula Regional Park Phase 2 Grand Opening is this Thursday, July 26th! 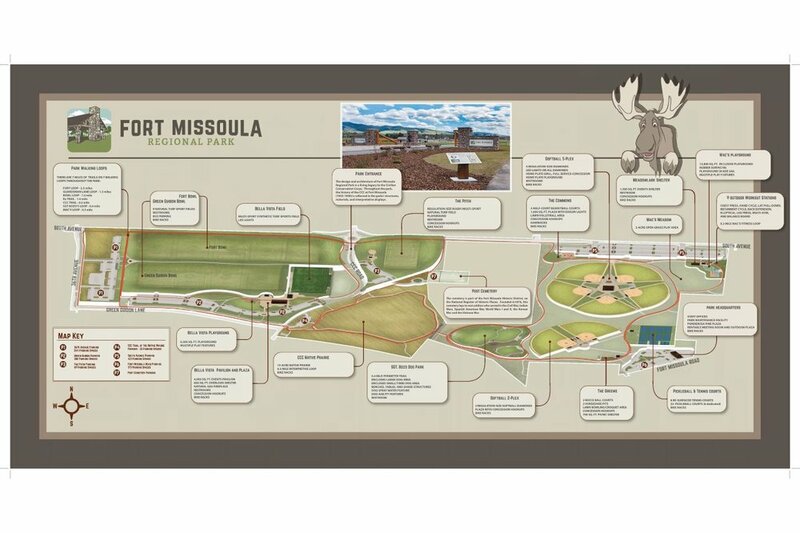 The grand opening marks the completion of the Fort Missoula Regional Park, a joint city-county project funded by the Parks and Trails Bond that county voters approved in 2014. Park features completed during Phase 2 construction include the Meadowlark Shelter, a fully-inclusive adaptive playground, seven softball diamonds, the Home Plate Grill full-service concession, The Greens picnic shelter and lawn games area; The Commons social recreation area, eight resurfaced tennis courts, and 22 pickleball courts. The park also includes an outdoor fitness center with nine workout stations, basketball courts, lawn volleyball, a preschool playground inside the softball complex, historical interpretation, and trails.The Sgt. Bozo Dog Park, also part of Phase 2 construction, will open later this year. Thank you to Missoula Parks and Recreation, and Missoula County Parks, Trails, and Open Lands for helping make this exciting project a reality!